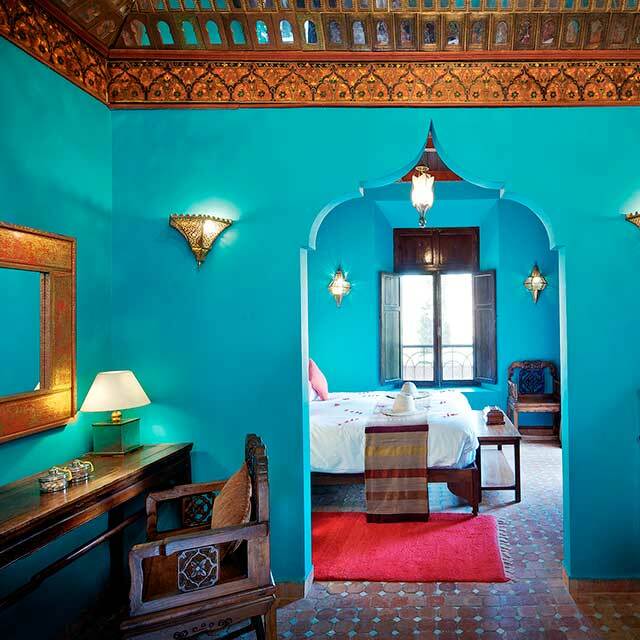 We have 28 bedrooms and suites including ten luxury Berber Tents, some of which have private plunge pools. 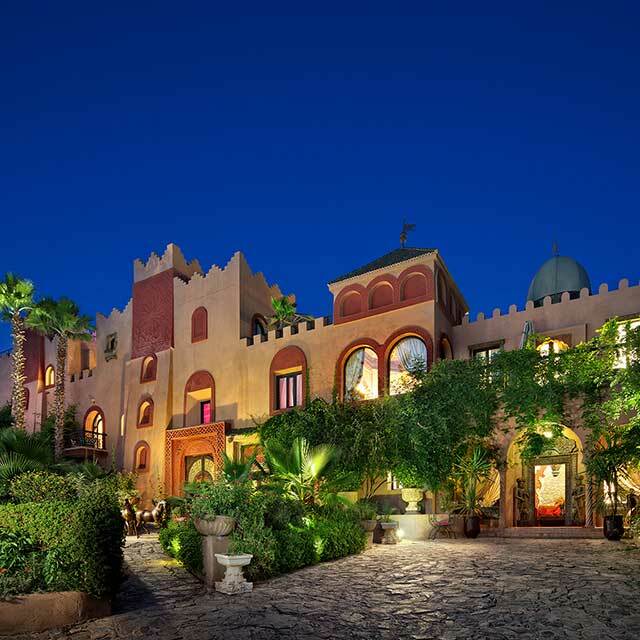 All are individually decorated using traditional Moroccan furnishings and antiques, as well as items from the vast collection of Luciano Tempo, Kasbah Tamadot's former owner. As a renowned antiques dealer and interior designer, Luciano brought together artefacts from all over the world, many of which feature in the bedrooms. Each room has a uniquely descriptive Berber name which tells you something about it. We have three Superior Rooms; one looks out over the front courtyard, the other into an interior courtyard and the third is one of the three bedrooms in the Master Suite. The Superior Room in the Master Suite can only be booked separately within two months prior to arrival. All seven Deluxe Rooms have a balcony or terrace. One of the Deluxe Rooms forms part of the Master Suite and interconnects with the Deluxe Suite with pool (Kasbah Tamadot's only interconnecting room). All Deluxe Rooms have a garden, pool or mountain view. All four Superior Suites offer a private balcony or terrace and are typically larger in size than the Deluxe Rooms. They have an open-plan sitting area and most can accommodate a roll away bed for one child. One of our Superior Suites has a second bedroom, making it perfect for families. 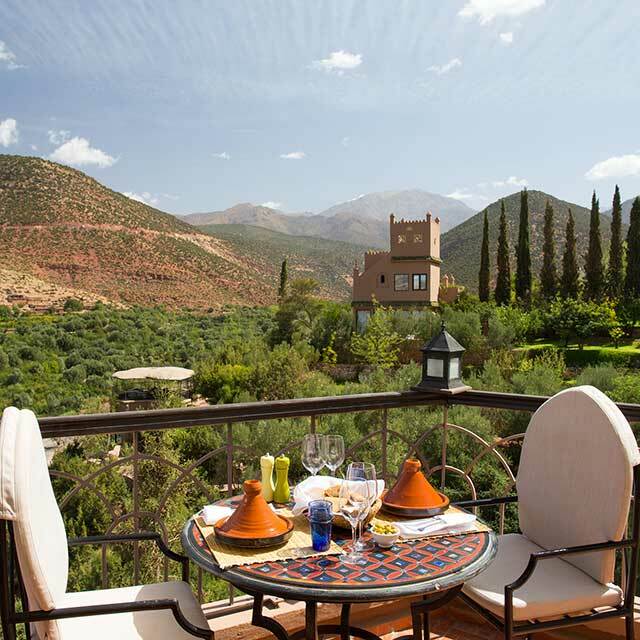 The Deluxe Suites occupy the premium locations for views of the valley and the Atlas Mountains. They are similar in size to the Superior Suites with an open-plan sitting area. Two of the suites can accommodate a roll away bed for one child. Our ten luxurious Berber Tents are perfect for those looking for a little more adventure. Soak up the views on your private deck equipped with sun loungers and space for outdoor dining and six suites have their own Jacuzzi. All suites have a king-size bed, large rolltop bath and will earn you extra brownie points if you’re whisking away a special someone for a romantic escape! This miniature version of the Kasbah offers forever views and has three special rooms, usually booked together. It also has a large terrace and private pool. The building itself is rich in architectural detail and affords complete privacy. Within the Master Suite are a Deluxe Room and a Deluxe Suite at the lower level with a private pool and rooms that can interconnect. On the upper floor is a Superior Room with huge roof terrace. The Master Suite is perfect for a larger party, or those seeking a true escape. Explore our beautiful Berber Tents using our interactive 360° video! Simply click on the start to guide you from room to room. 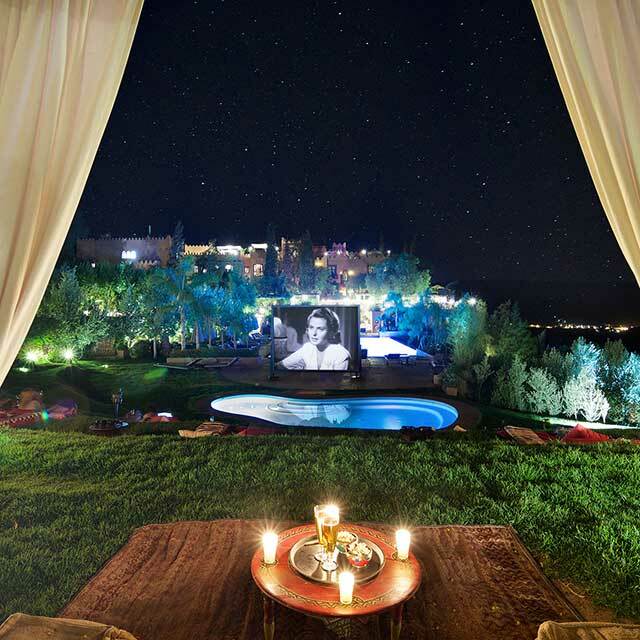 Explore our beautiful Berber Tents with private Jacuzzi using our interactive 360° video! Simply click on the start to guide you from room to room. Explore our beautiful Master Suite in our interactive 360° video! Simply click on the star to guide you from room to room. Explore our beautiful Superior Suite in our interactive 360° video! Simply click on the star to guide you from room to room. The rates are quoted per room, per night and priced in Moroccan Dirham. All rates are based on double occupancy. The rates above include include accommodation as detailed, breakfast and taxes. The full board supplements are in addition to the double occupancy rate on a bed and breakfast basis. What dates are children welcome? You can check here for when children are welcome throughout the year. Do you have single occupancy? Yes, our single occupancy rates are MAD 500 less than the published double occupancy rate in both high and low seasons. Rates above include accommodation as detailed, breakfast and taxes. Celebrate your wedding, birthday, an anniversary, or just use it as a great opportunity to escape with family and friends. 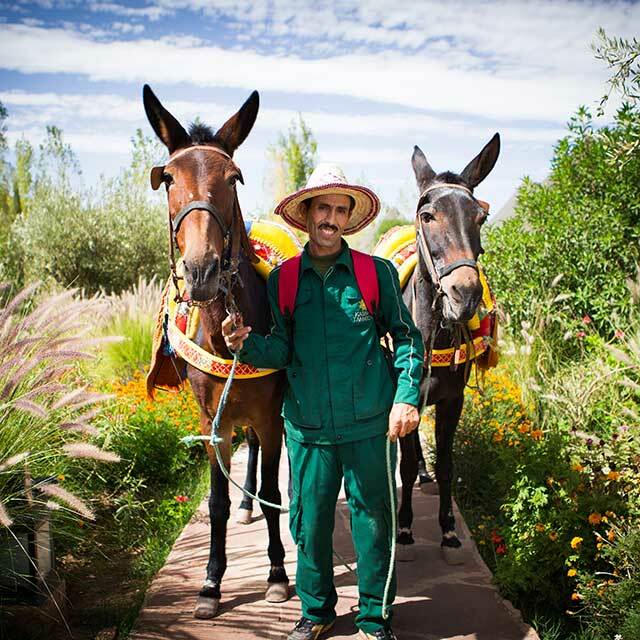 Get inspired with the High Atlas Mountains as your backdrop for corporate events. We have 28 rooms and suites and our exclusive-use rates apply when taking 13 or more rooms. Of course we welcome smaller bookings as well and our team will be able to help you plan.